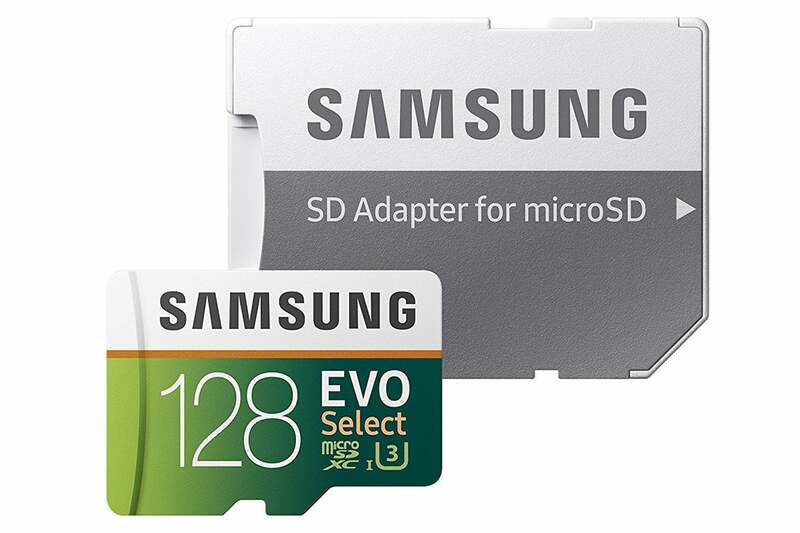 Amazon is selling Samsung's 128GB EVO Select MicroSD card for $37, its lowest price ever. A lot of us use our phones for, well, a lot of things. And most of those things, such as taking photos and videos, take up a lot of space. Luckily, you're not limited to the space built in to your Android phone—a microSD card can add a whole lot of extra storage. Right now, Samsung's 128GB MicroSD EVO Select memory card, which comes with an adapter, is down to $37, good for $5 off the MSRP and the lowest we've seen. Aside from tripling the space on the Galaxy S9 or LG G7, the coolest thing about this particular card is its speed. With a Class 10 UHS 3 rating, it can transfer files with up to 100 MB/s read and 90 MB/s write, some of the fastest speeds you can find on expandable storage. It's also compatible with a lot of devices, especially with the aid of the included adapter, so you can use it with both SD- and microSD-compatible devices. It's also weather-proof and protected against X-ray machines and magnetic fields, so your files will stay safe no matter where you take them. We haven't reviewed this particular card ourselves, but it's a hit on Amazon. It has 4.6 stars out of 5 over more than 7,500 user reviews, with users saying it's "a steal for the price" and "a winner." This discount only sweetens the deal.